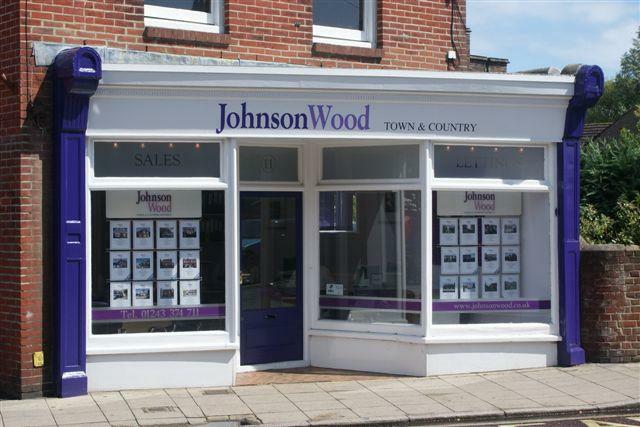 Johnson Wood was established in the 1970s from offices in the pretty Sussex village of Westbourne. The Company quickly gained a reputation for providing first class letting and management services in the Solent region. In 2001 the business was acquired by Jason Cliffe and Angela Hopkins who have over 40 years of industry experience between them. Under their stewardship Johnson Wood has continued to grow and prosper. In 2003 they relocated their premises to central Emsworth. The Company now offers a range of property services including residential sales and lettings. The lettings division is independently run by Kim Sim who has been working in the industry for over 12 years. Working along side Kim are Libby Merifield Property Manager, Helen Toseland Property Manager, Lisa Duddridge Property Manager, Chloe White Lettings Consultant, Deborah Cross Office Administrator and Hilary Munro Accounts & Credit Control Manager. The Sales division is run by Marcus Foot a highly experienced estate agent having spent many years learning his trade with both blue chip corporates as well as successful independents. Working with Marcus are Jo Grieves and Lisa Snow Sales Consultants. "Dear Marcus, thank you to you and your colleagues in both sales and lettings for your very professional service we will be in touch if we have any need in the futurs"
"It's been great, We havent moved for a while and all your help and advice was wonderful throughout. I've told all my friends to come to you!" "Thank you for all your help, it all went through so smoothly"
"We got there in the end, you have all been so helpful and patient, we're thrilled"
"Our purchase through you was the easiest part of a difficult move"
"Just to say a big thank you for making our purchase so easy and such an enjoyable experience. A special mention must go to Lisa who was able to point us in the right direction i.e our new home"
"Hi Marcus, Thank you so much for all your hard work in dealing with this sale you have been very actively involved throughout" Regards Lynn, Cairns, Australia. "Angela, thanks once again to you and the team at Johnson Wood for managing our property so well and going that extra mile, we really do appreciate everything you guys do. All the best, Tim." "We are indebted to the team at Johnson Wood who provided us with a first class service as tenants at Port Solent and Landlords in Havant. Kind regards Joy"
Members of the Guild of Professional Estate Agents - a National Network of carefully selected Independent Estate Agents working together to ensure a 'best in class' service to the public. As active Agents of the Network, our Members pride themselves on building loyal, reputable and professional local businesses that depend greatly on the quality of service they provide to their clients. High Quality Estate Agency in the Solent area. In addition to the Traditional Commission Option you can choose our new Fixed Fee Option which saves you money, puts you in control and guarantees all the backup you need every step of the way. How does the Fixed Fee Option Work? The £1500 Fixed Fee Option is due in two payments. A Marketing Fee of £750 is payable when you instruct us followed by a £750 Completion Fee when we sell your property. We want you to be as confident in our service as we are and so we include a Five Point Service Guarantee to ensure that your property is marketed as soon as possible. We'll line up interested and motivated buyers, arrange viewing times with you and negotiate offers on your behalf - And the catch? We leave the actual showing of buyers around your property to you. But since nobody knows your property better, what's the problem? Please phone us now for a free market appraisal. The law requires an EPC to be instructed before marketing can commence approx fee £75 plus vat. Working days exclude Saturdays, Sundays and Bank Holidays. Contact Johnson Wood for more details of this exciting new service.